It’s hard to believe August is already here! 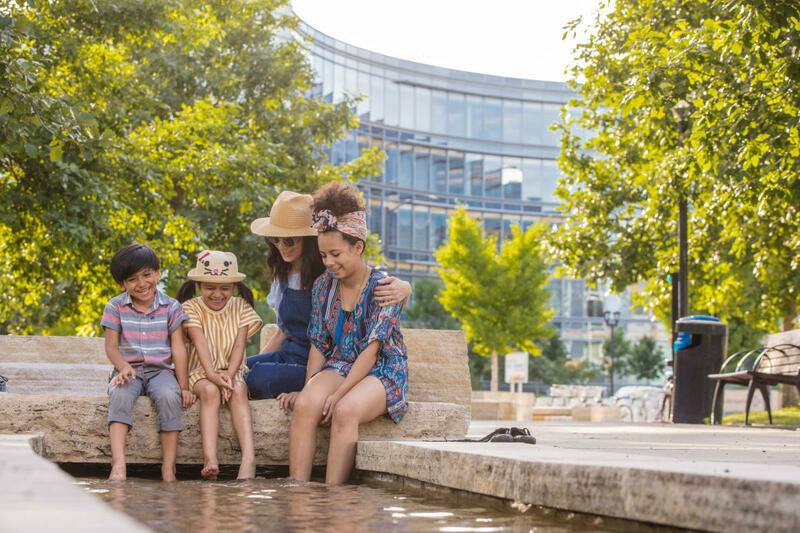 Not to worry, between live music, exploring nature, local sporting events and more, there are plenty of activities for the whole family to get the most out of the rest of summer! Tune In To Live Music: Do you hear that? It’s the hum of dozens of live, outdoor music events happening throughout Greater Des Moines this month. For live outdoor music head out on Thursdays to Historic Valley Junction for free Music in the Junction paired with the Valley Junction Farmers Market. On Sundays, enjoy an afternoon spent at Summerset Winery. Throughout August live music will start at 2 p.m. with wine and snacks available for purchase and yard games for the whole family to enjoy. Get Outside: Families can run, bike or walk their last days of summer away on one of the scenic trails across Greater Des Moines. Great options include the High Trestle Bridge Trail which offers amazing views day or night and the Raccoon River Valley Trail. As one of the biggest trails in Iowa, the Raccoon River Valley Trail is a great place for those looking for a longer trip with the option for plenty of stops in towns and shopping centers along the way. Gray’s Lake is another great place to beat the August heat - with a beach and boat or bike rentals available daily, families can spend the day in the water or on the scenic 1.9-mile trail around the lake! For more swimming options check out Adventure Bay at Adventureland Park or any of the popular aquatic centers in Greater Des Moines. 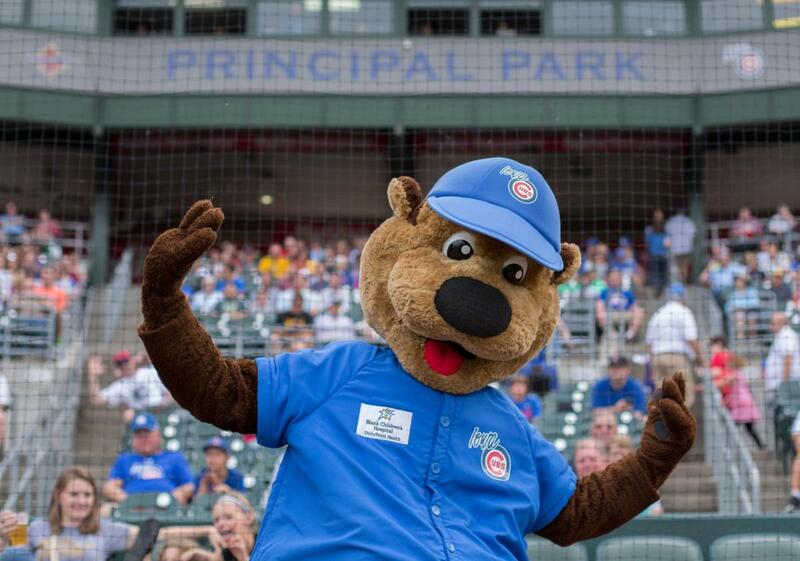 Catch A Game: For sports fans, an evening spent cheering on the Iowa Cubs can’t be beat! The Iowa Cubs will be playing at home for the first seven days of August against Salt Lake and Las Vegas. They will be back in town for weekday games against Colorado Springs the 14 through 16 and the Iowa Cubs will be playing us into September with the last round of regular season home games running from the last week of August into the first weekend of September. Don’t overlook the excitement happening on the racetrack at the Prairie Meadows Casino Racetrack & Hotel! Thoroughbred racing will be the main event every weekend through August 11 and quarter horse racing will take over the racetrack for the last few weekends of August. Kid-Free Fun: From Zoo Brew every Wednesday at the Blank Park Zoo and craft beers at any of our local breweries to 18 and over comedy shows at the Des Moines Social Club (this month’s features include No Sleep and Panic! At the Basement), there is also plenty going on for nightlife and adult-only fun. Looking for more? Check below for several more events happening this August! Head out to the Historic Blue Oval at Drake Stadium to catch some of the best athletes in the country compete in the 2018 AAU Junior Olympic Games. The Junior Olympic wrestling competition will take place August 1-3 at the Iowa Events Center. 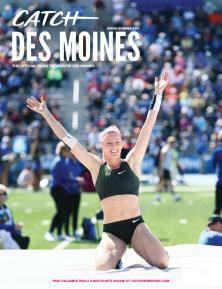 The games will run through August 4 with all kinds of exciting events happening each day throughout Greater Des Moines. 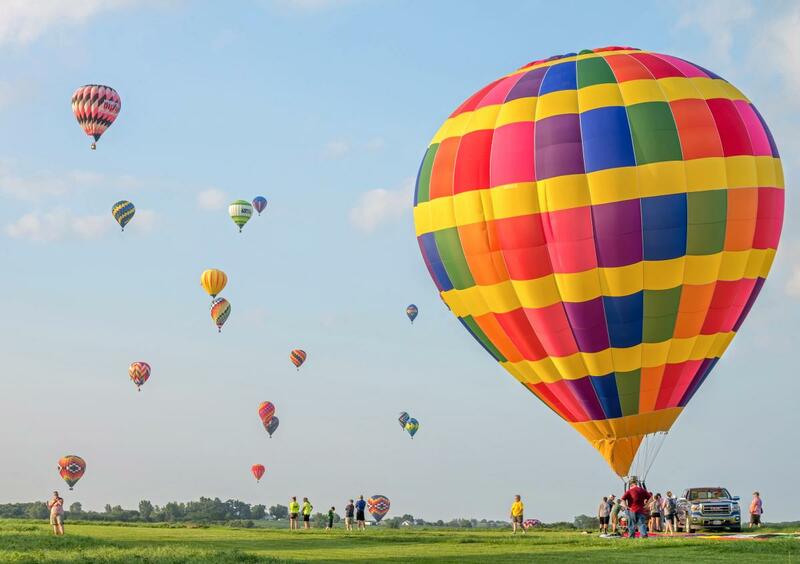 Don’t miss the spectacular National Balloon Classic that is running through August 4! Watch in wonder as nearly 100 hot air balloons paint the sky. Cheer on pilots, enjoy live music, take a balloon ride and more throughout the week! Two days of music curated for all who love both music and the outdoors. 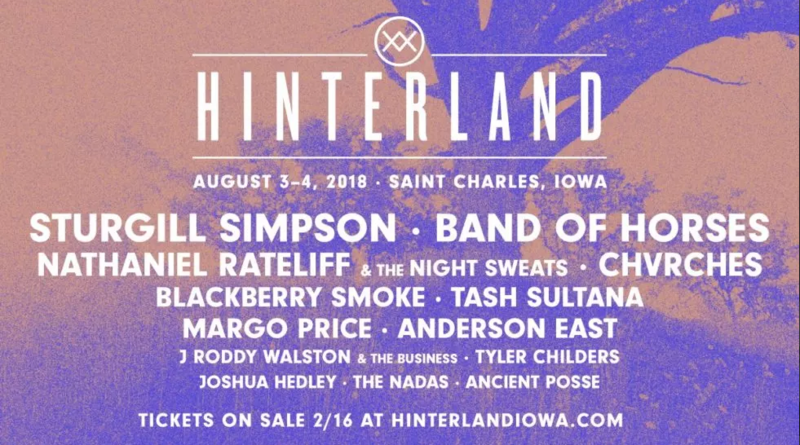 True to its name, Hinterland is held in St. Charles, a beautiful rural escape just outside Des Moines. The annual festival features a blend of music, camping, art, craft vendors, family engagement and more. 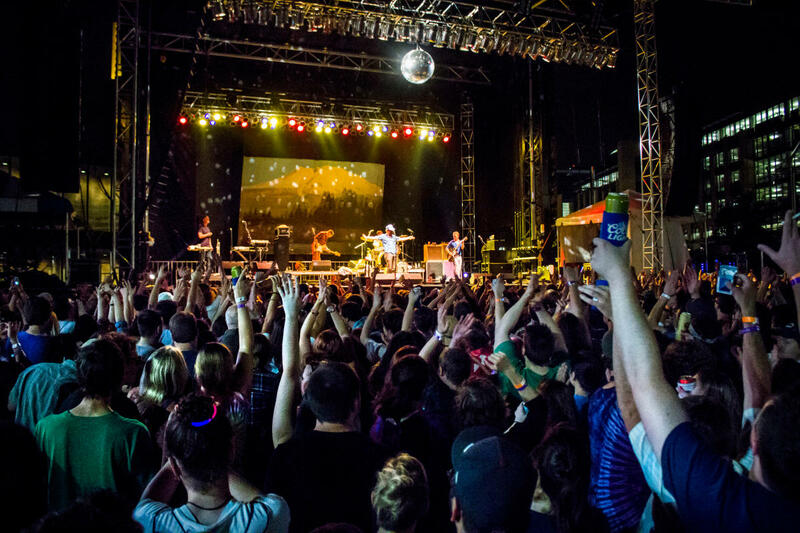 This year’s performances will feature Sturgill Simpson, Band of Horses and Nathaniel Rateliff and The Night Sweats. The four-day event that made Knoxville Raceway the "Sprint Car Capital of the World" is back August 8 through 11 and will draw over 25,000 fans to the raceway! With over 100 cars vying for a spot in the 50 lap and $150,000 on the line on Saturday night, it makes for intense preliminary events on Wednesday through Friday. Enjoy food vendors and endless options for your racing t-shirt wardrobe! 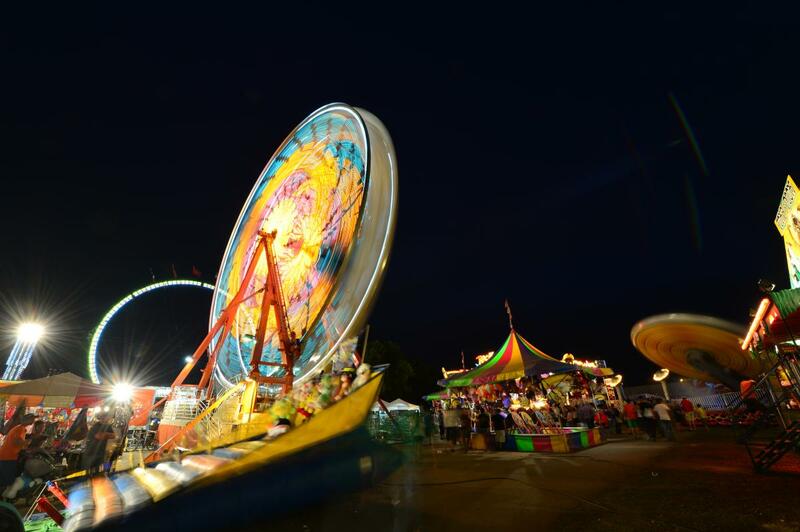 The internationally acclaimed Iowa State Fair is the single largest event in the state of Iowa and one of the oldest and largest agricultural and industrial expositions in the country! Gates open August 9; there will be live music every day, art, everything Iowa agriculture and unique food – including 56 new food options. People can enjoy the fun rides, live animals and so much more. Nothing compares to the Iowa State Fair! 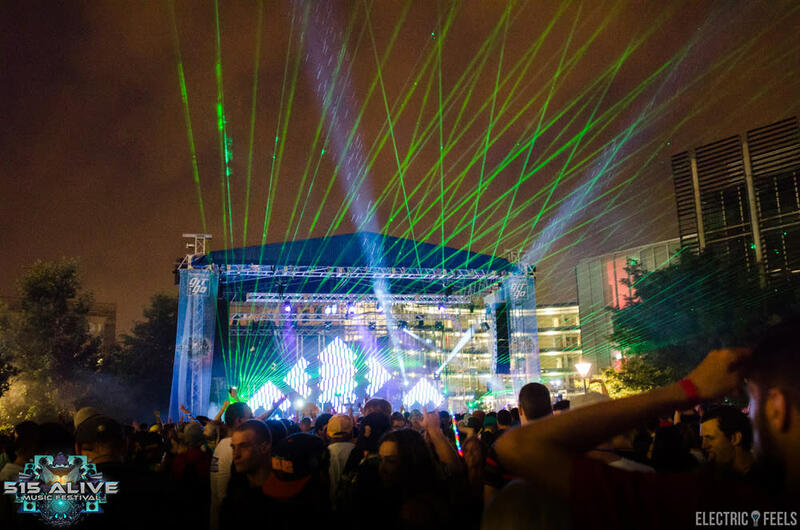 515 Alive is a two-day, electronic and hip-hop music festival coming to Water Works Park on August 17 and 18. With camping available on festival grounds and tons of great food, crafts and merchandise available to festival goers, it is sure to be a great weekend! Performances this year will feature Bassnectar, Future and many more! It&apos;s that wonderful time of year again! 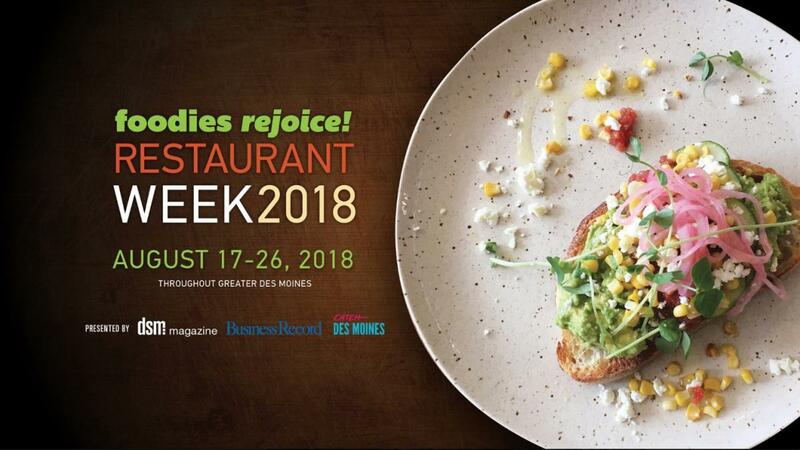 Des Moines Restaurant week is the best time to experience the metro&apos;s top restaurants for just $28. Fixed-price menus at each location will get you two lunches or one three course dinner. This annual foodie event is the perfect excuse to dine around Des Moines and try something new! The premiere celebration of the Ingersoll and Grand Districts in Des Moines is happening on Saturday, August 25. The family-friendly street festival offers live music throughout the afternoon and evening, inflatables, rides and activities for kids, arts and crafts for browsing and buying, food and beverage vendors, street performances and much more! The event is free to the public and is sure to be a blast – the fun starts at 4 p.m! You are invited to join the harvest team at Summerset Winery for some great vineyard fun! As a harvester, you will experience the ambience of the vineyard as you cut the grapes off the vine, feel them crush beneath your feet during the celebratory stomp and indulge your palate in the flavors of some delicious award-winning wines! Tickets start at $29 and include lunch, a shirt, a few free drinks and more!